With a population of around 45,000, Ashton is a market town in Tameside, Greater Manchester. There’s a good range of affordable housing in the area, perfect if you’re a first time buyer or looking to snap up a bargain. At My Home Move Conveyancing we have been developing our knowledge of local markets since 2001, enabling us to bring our clients in the Ashton area an outstanding specialist, fixed fee conveyancing service. If you’re considering buying or selling property in Ashton, you’ll need to instruct property lawyers to carry out the legal work on your behalf. 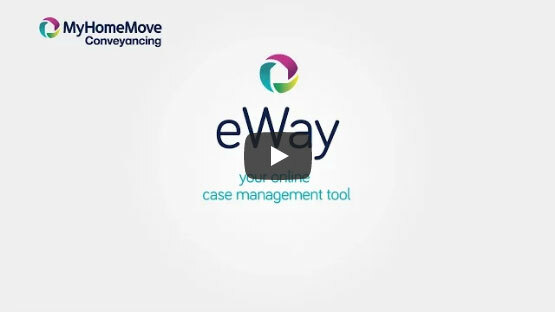 My Home Move Conveyancing can offer you award winning customer service, an innovative use of technology and a passionate, positive attitude to what we do. Our service is fixed fee, so you’ll know exactly how much you’re going to pay from the beginning when you select us to be your Ashton conveyancers, with no hidden extra costs to worry about. What’s more, you won’t need to pay us anything if you don’t end up moving. Each of our clients are assigned a dedicated conveyancer who will look after your case from start to finish, regularly providing updates on the progress. My Home Move Conveyancing is proud to supply conveyancing services in Ashton to homebuyers across the local area, from those looking for something in the vicinity of the town centre’s train station to areas such as Taunton and spots close to Ashton-under-Lyne Golf Course. The average house price in Tameside is £131,473, while in Ashton over the past 12 months the overall average sale price was a little lower than this at £118,302. Most sales involved terraced properties which went for £92,190, while semis fetched £135,617 and detached properties £211,574. Historical finds in the Ashton area date back to the Stone Age, Bronze Age and Viking period, showing that this has long been an important place in the northwest of England. The Industrial Revolution played a huge part in the expansion of the town thanks to its prowess in textile manufacturing, and Ashton has continued to thrive even after the decline of heavy industries such as coal mining. Ashton benefits from a great location just to the east of Manchester, and there are trains that you can catch to the city that take less than 20 minutes. The M60 motorway which loops around Manchester passes just to the west of town, meaning Ashton is very well connected when it comes to transport. If you’re going on holiday, Manchester Airport is just 20 minutes away by car. There are some excellent schools to choose from in the local area, including Canon Burrows CofE, St. Christopher’s and St. Joseph’s at primary level. Broadoak Primary on Norman Road is another option, while Mossley Hollins High, New Charter Academy and St. Damian’s are among the secondary level choices. If you’re looking for higher education facilities, the universities in Manchester are just a short journey away. All properties in Ashton will fall within one of the following council tax bands.